One of the most famous matches of all time comes to action figure form! 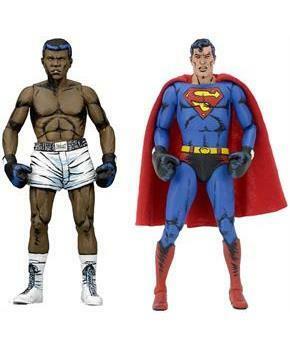 Set includes action figures of Mohammad Ali and Superman. Both 7" scale figures have over 25 points of articulation. 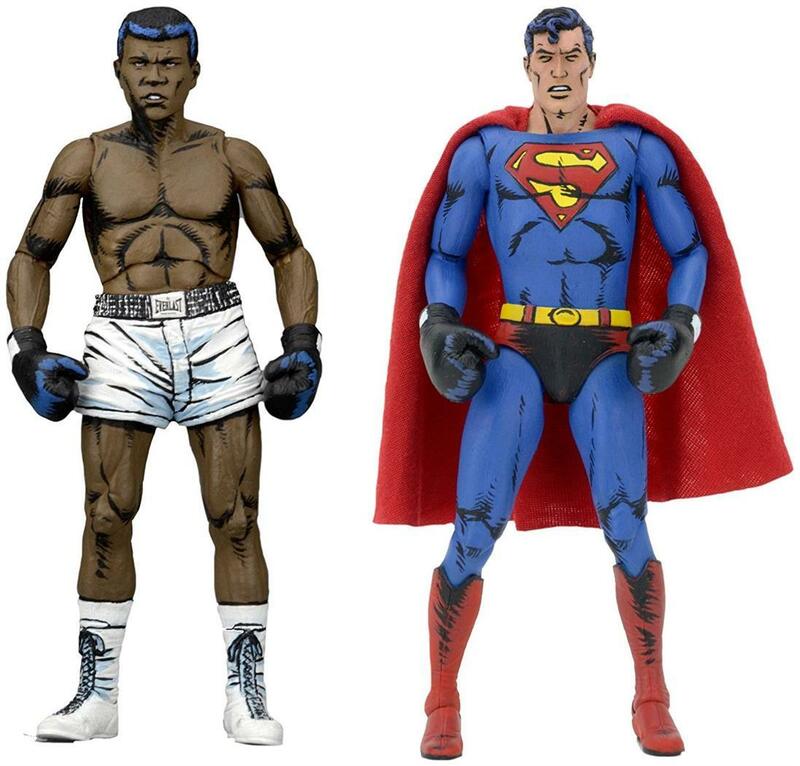 Figures feature comic-stylized deco based on Neal Adams' spectacular cover art. Superman includes alternate ungloved hands.